It is important and useful for an EAMP to consider the side effects of a patient’s medications. 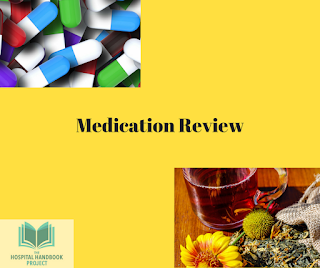 This helps, when going through the assessment, including the Review of Systems (ROS), to discern what is a side effect from a medication (branch or twig) vs. what is endemic to constitution or specific condition (root and/or earlier branch). What is the source of the following information? Why is this a red flag? What Conditions Make People at Extra High Risk for Adverse Events or Death d/t Overdose when taking Opioids, according to the 2016 CDC Guideline? Moving Beyond Medications: Non-Pharm Approaches to Pain Management and Well-Being, a one-page infographic for PCMs, a collaborative work by several national Integrative Medicine groups. More about sleep disturbance as a side effect of opioid medications, see Sleep disturbance in patients taking opioid medication for chronic back pain, published 2016 in the journal Anaesthesia by Robertson and Purple et al. If you found this information useful, please consider contributing to this resource at our website. Thank you. The author can be reached through the Hospital Practice Handbook's Facebook Page. Just use the "message" feature on that Facebook Page.